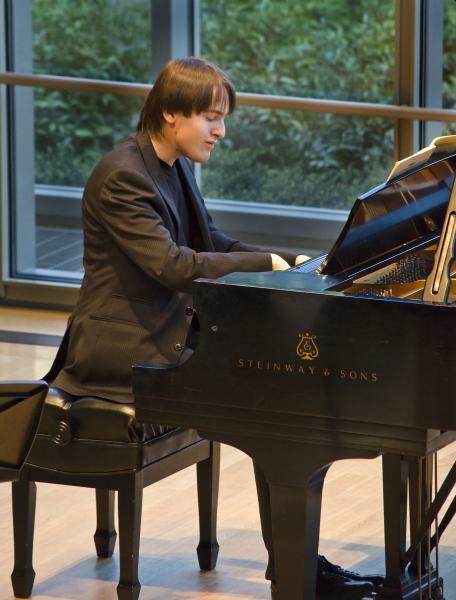 Tuesday night, an internationally acclaimed Russian pianist who studies at the Cleveland Institute of Music will debut as a soloist at Carnegie Hall. 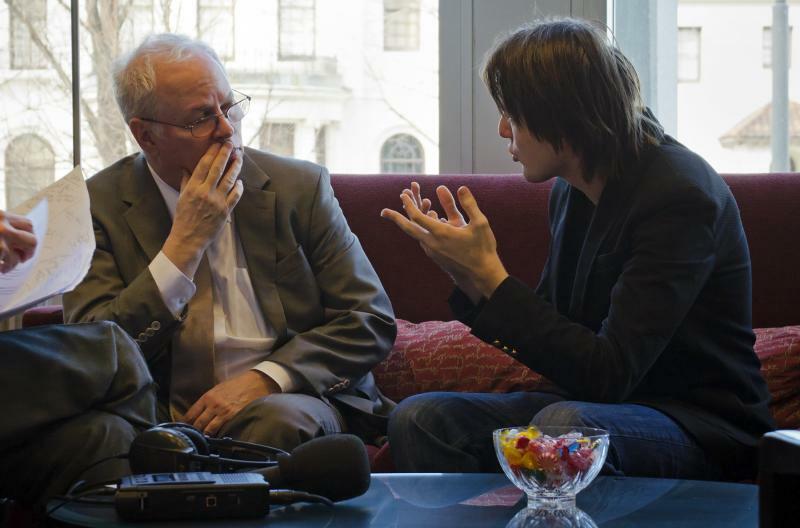 Daniil Trifonov and the president of the Cleveland Institute of Music, Joel Smirnoff, talked recently with WKSU’s Vivian Goodman about the significance of tonight’s performance for the young virtuoso, his school and his adopted city. "Scintillating technique and virtuosic flair"
Daniil Trifonov arrives at the office-studio of the president of the Cleveland Institute of Music, Joel Smirnoff, a little jet-lagged. The young Russian just got back to Cleveland after command performances in five countries within three weeks. Last season at Carnegie Hall with the Mariinsky Orchestra, Trifonov played Tchaikovsky’s 1st Piano Concerto, the piece with which he’d captured the grand prize, first prize and gold medal in 2011 in Moscow. Just months after taking top honors at the XIV International Tchaikovsky Competition, the young virtuoso triumphed at the Rubinstein Competition in Tel Aviv and the Chopin Competition in Warsaw. Trifonov had journeyed to Cleveland two years earlier from Nizhniy Novgorod, a suburb of Moscow, to study at CIM with acclaimed pianist and pedagogue Sergei Babayan. He’s completed the artistic certificate program, but has decided to stay in Cleveland for composition studies at the Institute. He was 18 when he first came to Cleveland, knowing no one here. The 21-year-old Trifonov hasn’t taken the stage yet at Severance Hall but he played the music of his favorite composer, Chopin, with the Cleveland Orchestra last season at Blossom. He’s working now on his first piano concerto but has already written several pieces for piano and some for orchestra. “Actually my first attempts were even before I started playing piano at the age of 5. That’s how my parents actually discovered that I had interest in music because I started composing little bit." 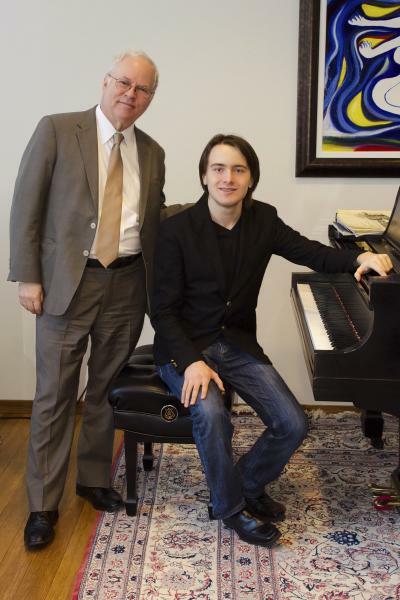 Smirnoff says Trifonov will be part of a new initiative at the Institute for composer/virtuosos. Trifonov listens to other genres, including the music his father composes for the Russian Orthodox Church. Trifonov says he’s not too familiar with punk rock but enjoys some rock and roll and jazz. Chopin’s 24 Preludes are on the bill along with Scriabin’s Sonata-Fantasy and Liszt’s Sonata in B Minor, when Daniil Trifonov takes the stage in Stern Auditorium for his Carnegie Hall solo debut. In playing his first piano concerto, TRIFONOV sounded like Listz must have sounded when he made his debut ! I have been following Daniil's career ever since I heard him online when he won the Tchaikowsky Competition. I would love to go to NY to hear his solo recital at Carnegie Hall, but it will not be possible. Luckily I heard his recital at the Kennedy Center in the Terrace Theater, which is a hall on the lines and size of Wigmore Hall in London, my favorite venue (being an ex-Londoner I am biased). He played the same program I see he is doing in NY and it was remarkable. Plus three encores. I had the honor of meeting him afterwards at a reception and found him to be so very nice.